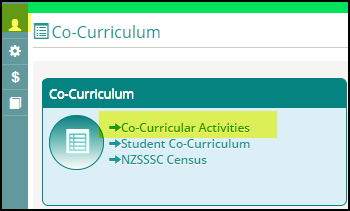 Spider allows users to create both Activities and Groups for use with the Co-curricular module. It pays to plan out your activities carefully before creating these. It is better to create an activity code like “Football”, then associate it with the activity groups (1st XI, , 2nd XI, Red, Premiers, Seconds), than it is to make each of these an activity in their own right.